As parents your opinions are important in helping us to improve. You can feedback to us direct at school through the questionnaires and surveys that we send out from time to time or by making an appointment to see your child’s class teacher, our Deputy Head or Headteacher. If you would like to book an appointment please contact the school office via email or by phone on 0208 422 5070. 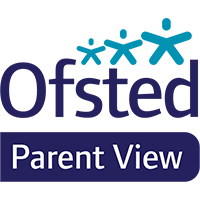 You can also give your views about online through the Ofsted Parent View portal (click below).